Central Superior Services, CSS, is a permanent bureaucratic position that is responsible for running the civilian bureaucratic operations. It is defined as 'key wheels on which the entire engine of the state has to move'. The bureaucracy consists of total of 12 directorates that provide vital office and secretariat related duties to the Government of Pakistan. The bureaucracy consists of total of 12 directorates that provide vital office and secretariat related duties to the Government of Pakistan. In plain language, CSS examination, once passed, leads you get a permanent position as a government officer. Both, males and females, actively participate in CSS examination that is held every year. The exams are conducted and supervised by the Federal Public Service Commission and its chairman publicly announced the successful candidates through television and print media outlets. home, security guard, vehicle.. you get almost everything as perks of this job. You become distinguished from others, and that is why CSS has immense importance in Pakistan. 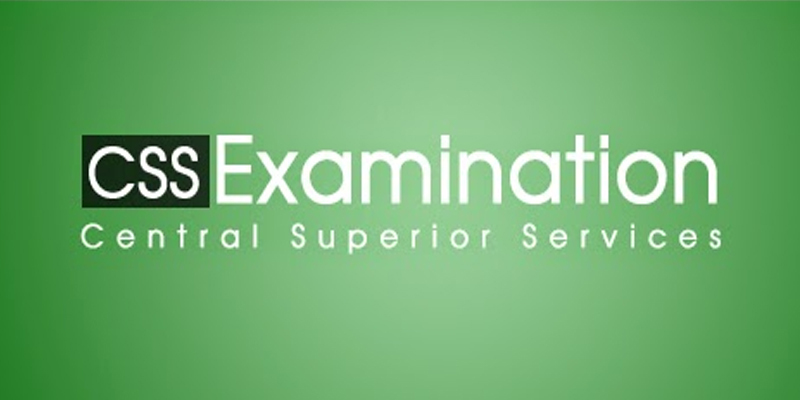 Following are some of the interesting facts about CSS or Competitive Examination. Out of all bureaucratic positions, only 7.5% positions are selected via CSS examination (by merit, education, qualification and experience). While the 92.5% are selected by using quota system. 7.5% is selected by merit. 50% is reserved for people from Punjab, 19% of all beaurocratic seats are reserved for people of Sindh, 11.5% for KPK, 6% for people from Balochistan, 4% for people of Gilgit-Baltistan and 2% for Azad Kashmir. In 2012, 10 thousand candidates applied for exams. In 2013, 16 thousand people applied, and in 2014, 25 thousands candidates applied to compete in examination. Passing percentage has also decreased from 7.8% from 2012 to 3.3% in 2014. For past 10 years, passing percentage has never touched a double digit figure. Merely passing the examination doesn't guarantee a permanent position in bureaucracy. Every year, more than 25% students get nothing even after passing CSS exams. The golden rule is, never be at the bottom of the list of passed students. In 2010 alone, 895 cleared CSS exams but only 388 were offered a government job. On the other side, there are cases when students themselves didn't join even after passing CSS exams. Aitzaz Ahsan, for example, stood first in CSS examination in 1979. Objecting to military rule, however, he refused to join government service during the time of military rule. Average percentage of passing students falls between 60% to 65%. CSS exams are of total 1200 marks and average marks a passing student get is 650 to 750, however there are students who have got marks around 850 in written par of the test. Sajjad Saleem Hotiana, currently Chief Secretary Sindh, is among the only two students who scored 100% marks in interview part of CSS exams. Interview part carries 300 marks in total.